Levon Biss is a British photographer born in London. For the last 20 years Levon’s photography has continually developed and his curiosity has seen him work across a number of photographic genres including reportage, sport and portraiture. He has exhibited in print shows around the world and his work is permanently housed in a number of museum and private collections. During his career Levon has received numerous awards and in 2016 he was presented with a Fellowship to the Royal Photographic Society. Levon’s work has been published in TIME magazine, GEO, The New York Times Magazine, National Geographic, Sports Illustrated and many other respected international titles. In 2006 , Levon published his first book ‘One Love’. The project is a photographic study of the soccer community on a global scale. Shot over a period a year, Levon visited 28 countries over 6 continents to document all levels of the game, from small children in the mountains of Peru to professionals playing for their national teams. The project produced a best selling book, with an exhibition touring 17 countries over 2 years. Based in his countryside studio in the UK, Biss’s passion for nature and photography have come together to create Microsculpture. 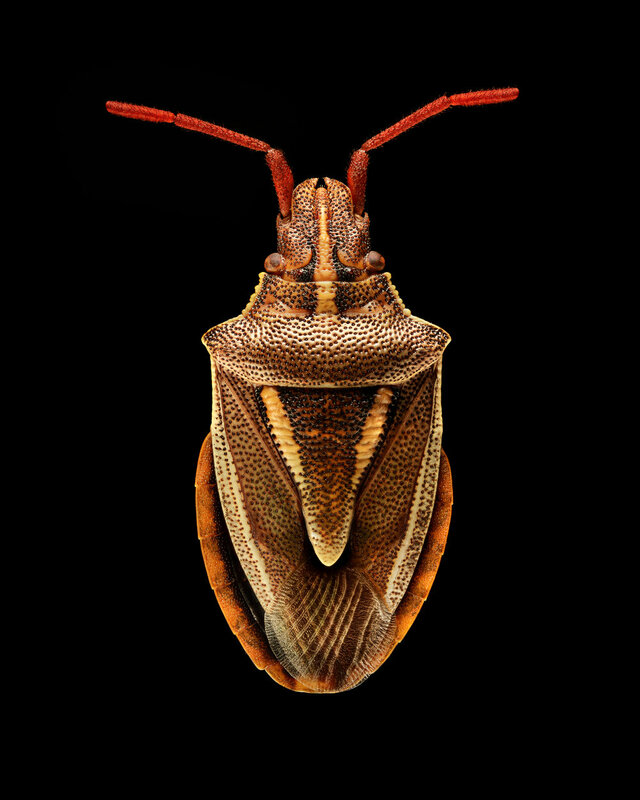 His unique photographic process composites thousands of images, using multiple lighting setups, to create the final insect portraits. Each specimen was mounted on an adapted microscope stage, allowing close control over the position of the specimen in front of the camera lens. Most insects were photographed in about 30 sections, each section lit differently with strobe lights to accentuate the microsculpture of that particular area of the body. Each insect portrait is created from over 8000 separate images.